Picture the way penguins wade. Try to mimic that as much as possible. 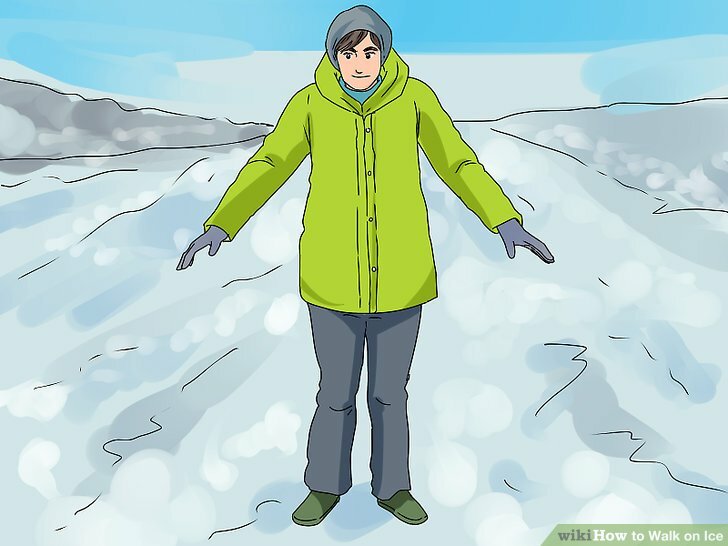 Keep your arms at your sides. 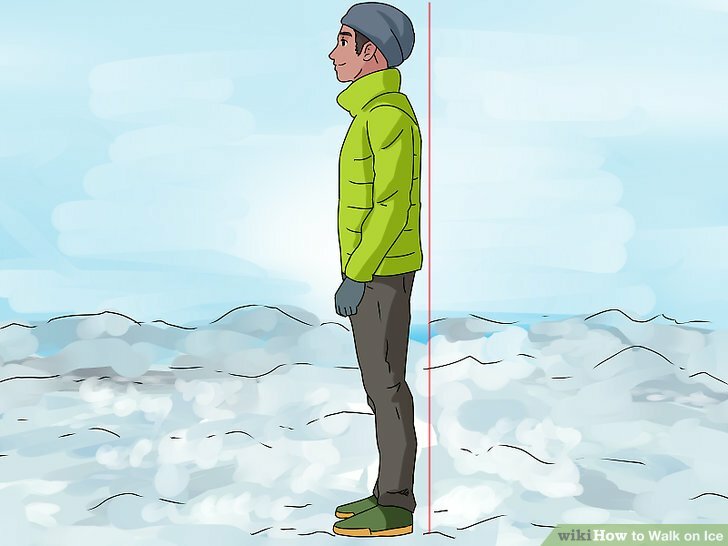 Moving your arms too much can make you lose your balance. 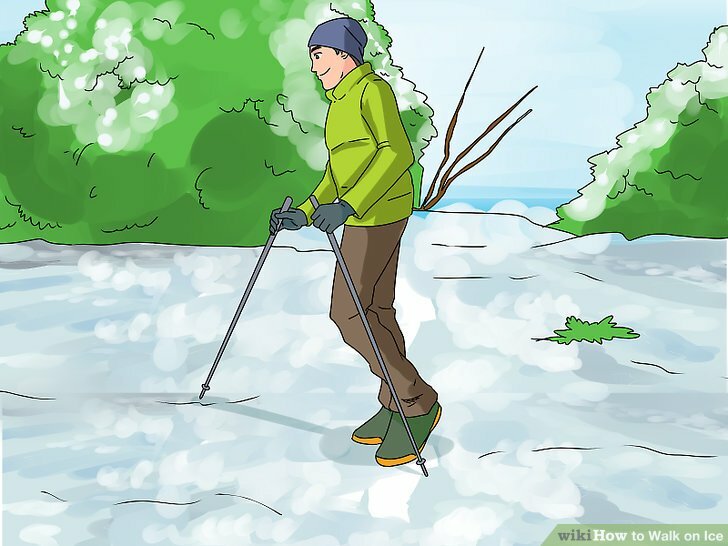 If you don't have a pole or cane handy, check if there's anything nearby. Railings, ledges, and walls can help in a tight spot. 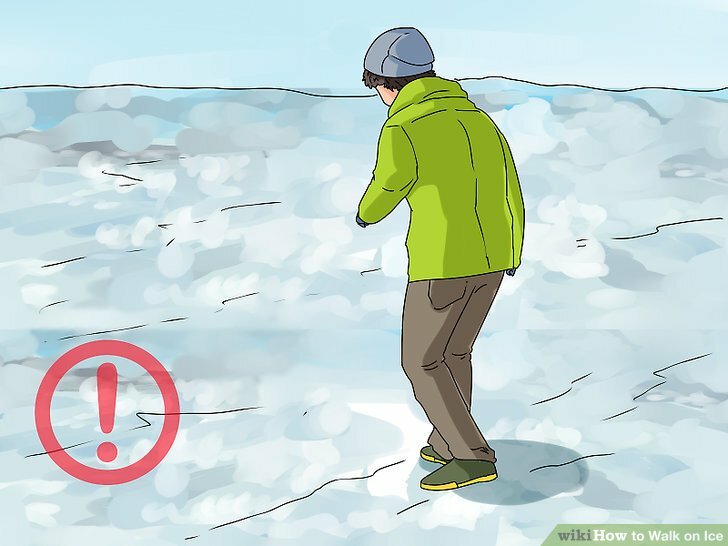 After a snowstorm, walk slowly, just in case there's black ice. 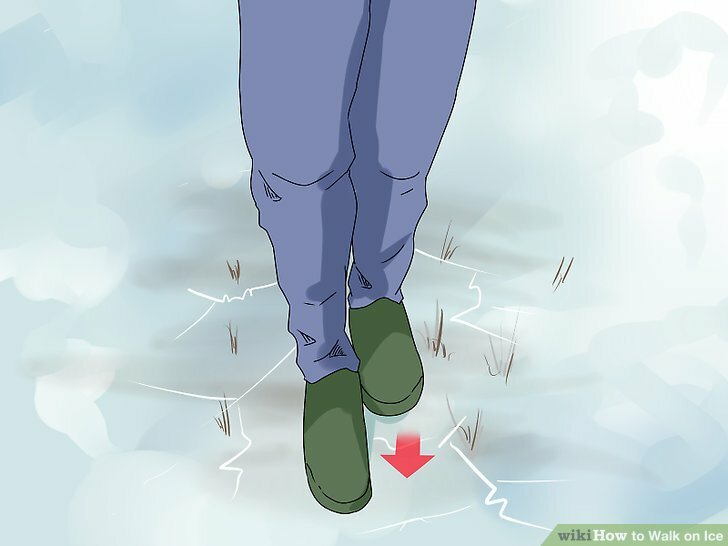 Test the ground before stepping with your full weight. 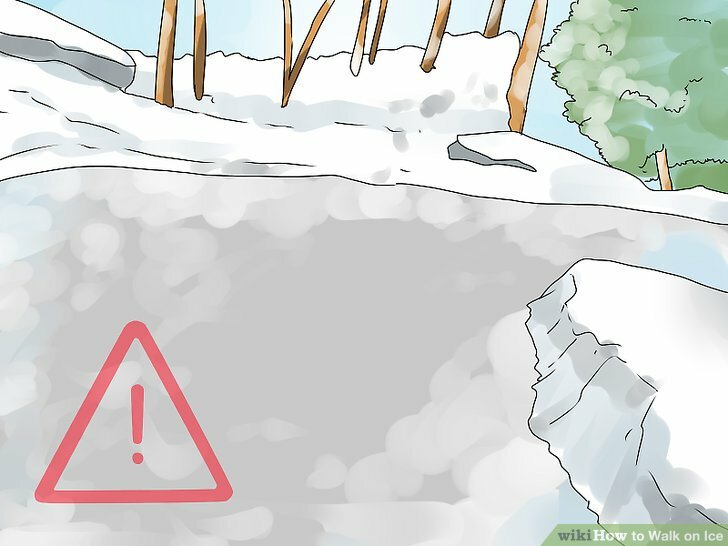 Avoid parking lots and other areas with asphalt, where it’s easy for the ice to camouflage. 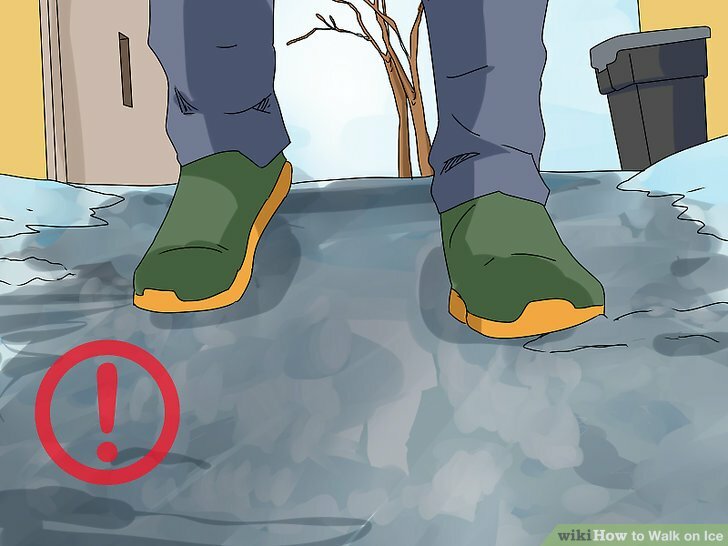 Don’t wear leather boots or shoes with leather soles. 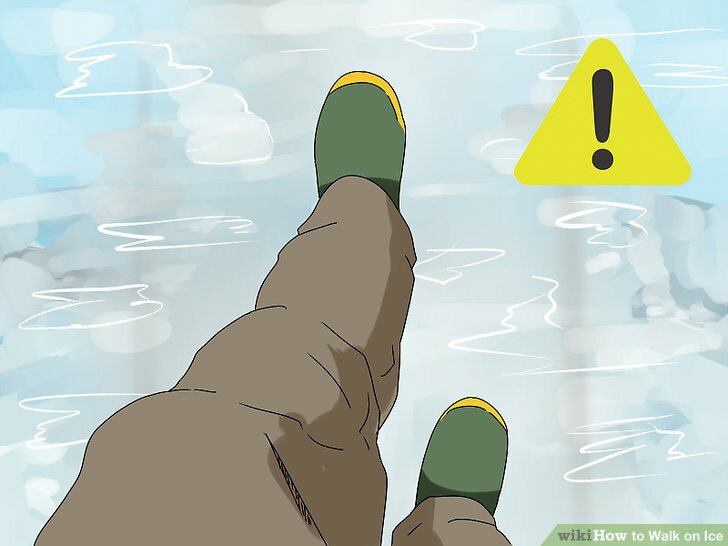 They have weaker traction, meaning you’re more likely to lose your balance. 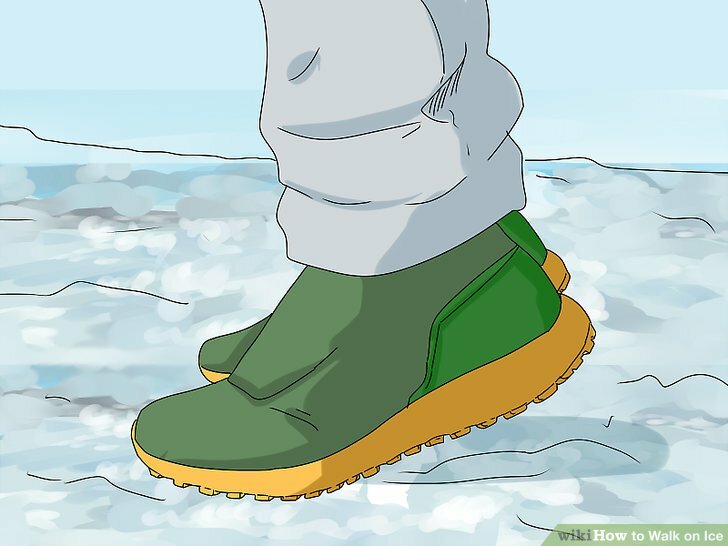 Ice chains can be attached to shoes to help give you the extra grip you need. Wear a heavy jacket. No matter how careful you are, there’s always a chance you'll fall. 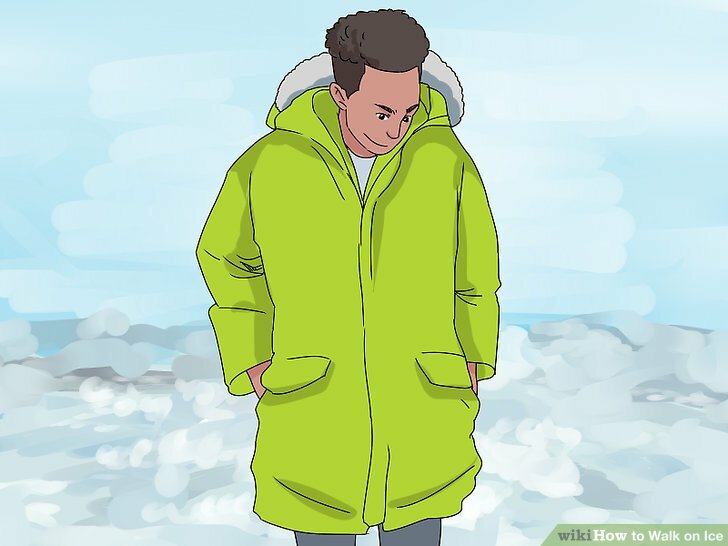 Wearing a heavy winter coat can help soften the blow. Try the puffy kind to give yourself an extra cushion. Wearing thick, heavy pants can also help. Use gloves with grip. When we fall, our first instinct is to put our hands out to catch ourselves. It’s important to protect your hands with sturdy gloves. 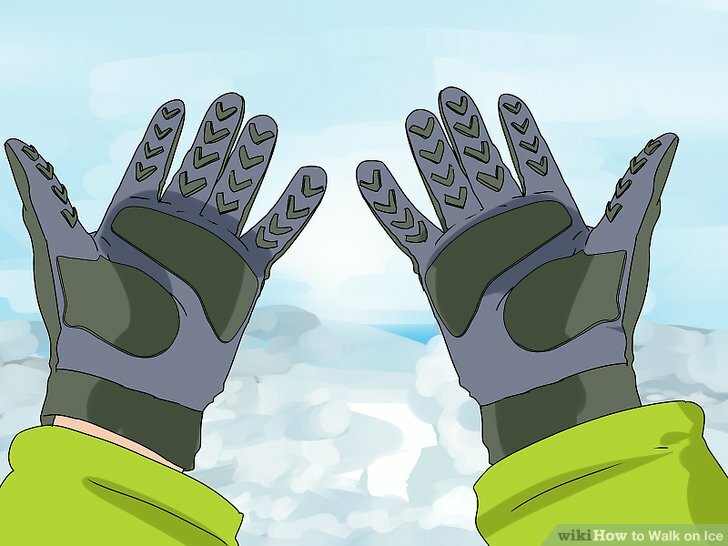 Gloves with grip can stop you from slipping any further. They can also help you get a good grip on railings while you walk. Think work gloves with black pads on the palms and fingers.